We are pleased to announce the highly anticipated Tokenlon, an in-house decentralised trading platform developed using 0x protocol, a leading decentralised exchange protocol to date. With the 0x protocol, users can now execute atomic token-to-token exchange on their mobile device with imToken 2.0 International. Developed by the world’s largest Ethereum wallet provider, imToken strives to optimize user experience, enabling efficient and secure flow of digital assets without the need to engage with external platforms through Tokenlon. Adressing challenges of centralized and decentralized exchanges, Tokenlon is bringing the best of both worlds into a single platform. The decentralized nature of the blockchain platform puts away the concern of a forced closure of centralized exchanges, and with the improved security that a blockchain offers, users can trade cryptocurrencies on the blockchain platforms at ease. Despite the benefits, decentralized exchanges are not without their shortcomings. For one, decentralized exchanges that are built on top of blockchains such as Ethereum are still prone to slow transaction speeds and high fees, thus resulting in low transaction volume and low liquidity. With support from 0x protocol, imToken created Tokenlon to take advantage of the benefits of both centralized and decentralized platforms in order to promote coherent and secure trading experience, and at the same time promote the technology to the greater audience. 0x protocol allows users to trade with an order book system similar to what traditional exchanges provide. Users can conduct trading activities for ERC20 tokens like making orders or taking orders from the order book after a simple process of authorization with their digital signature and only pay gas fees with conclusion of the trade. As one of the most popular decentralized exchange protocols in the world, 0x has already been adopted by many renowned decentralized exchanges. Given that 0x protocol enables order sharing system between platforms, the adoption of 0x on Tokenlon would mean that there is greater market depth to fulfill orders quickly. More importantly, Tokenlon supports token-to-token trading, thereby providing more options for users that have different trading needs. This is a service that centralized exchange cannot deliver. Tokenlon has also rolled out Instant Exchange function, developed jointly with Kyber Network. Kyber Network protocol will select the best exchange rate across multiple reserves within the network to ensure the best experience for speedy token-to-token conversion with fair market price. In the near future, collaboration with Polkadot, Cosmos and other cross-chain protocols will allow users to execute cross-chain transaction (not only ERC 20 tokens) seamlessly using Tokenlon’s Instant Exchange function. 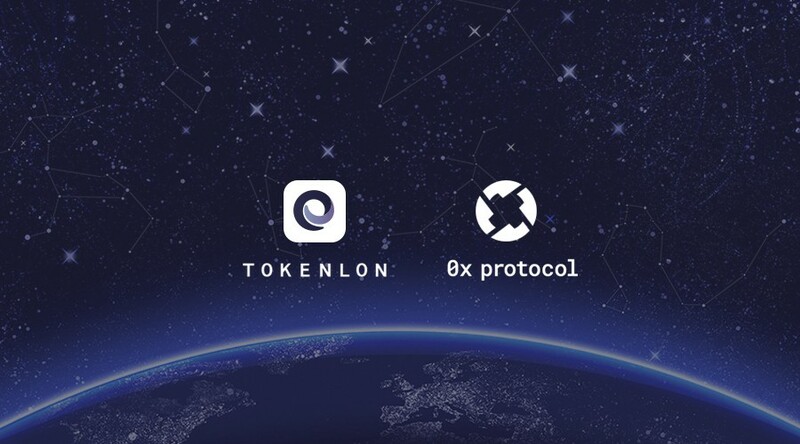 Tokenlon aims support more decentralized trading protocols in the future to further improve users experience and allow seamless digital asset movement within imToken. That aside, the newly introduced liquidity offered on Tokenlon plays a part in making the technology more accessible for users, thereby encouraging mainstream adoption of the blockchain technology . imToken is the world’s largest Ethereum digital asset wallet, with millions of high net-worth users worldwide, access to 30,000 tokens and internationally recognized security features as a digital asset management tool. At present, imToken team is fully committed on delivering our milestone version of imToken 2.0 International, with newly introduced features including support for multi-chain wallet (bitcoin assets), Tokenlon, and DApps. 0x is an open, permissionless protocol allowing for the decentralized exchange of tokenized assets on the Ethereum blockchain. The team is focused on building the core protocol and platform for developers to create decentralized exchanges and applications using 0x. This has allowed a vibrant developer ecosystem to take shape, with over a dozen external teams building significant decentralized projects that integrate with 0x protocol.